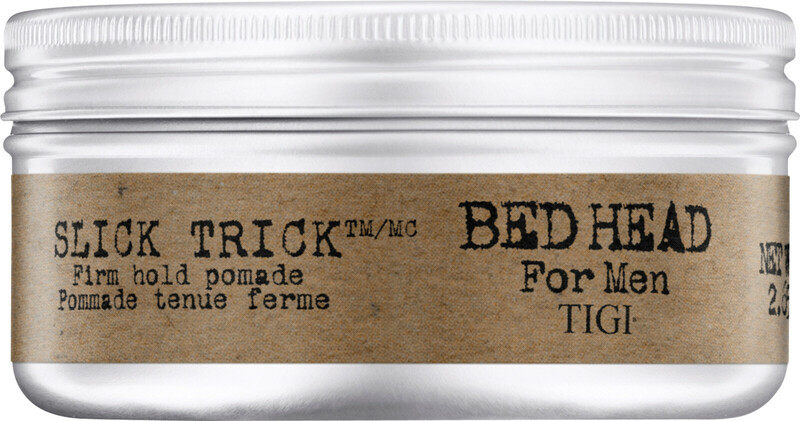 Re-texturize your hair with the TIGI Bed Head For Men Slick Trick Firm Hold Pomade, a styling essential for short to mid length hair. Formulated to support your creativity, this pliable pomade provides your style with a medium hold and a glossy finish. No matter whether you like to mess it up or slick it down, this necessary styler is at your command. Enriched with a minty fresh fragrance, this ultimate hair tool is the perfect partner to a man who is serious about his style. Work into wet or dry hair, then style as desired.